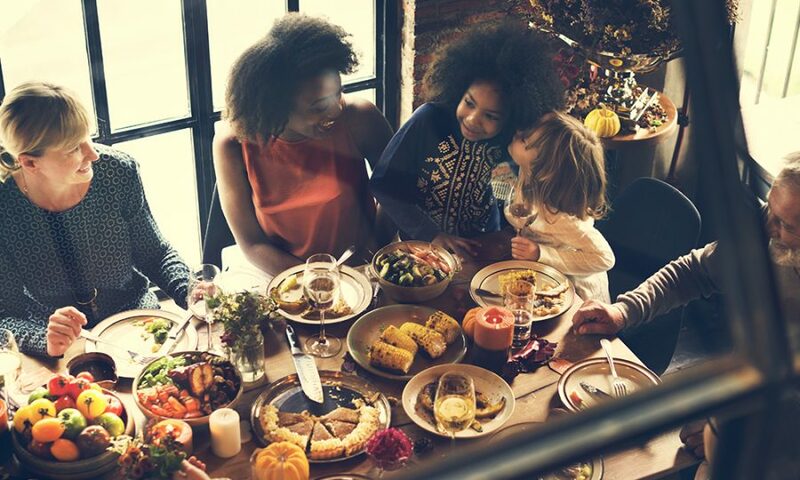 As a kid, my Thanksgiving holiday started with watching the Macy’s Thanksgiving Day Parade on TV before getting together with family and relatives for a glorious, homecooked dinner. While my mom prepared all the traditional foods in the kitchen, my sisters Amy, Mary, and I would swipe baby pickles and black olives from the table – not always without getting caught. After dinner, we womenfolk played board games and ate dessert while I tried to ignore the football game on TV. (As a kid, I never could understand the draw of watching overgrown men tackle each other…and now as an adult, I still don’t! I hope I don’t wind up at the kids’ table again…) The day usually ended with eating leftover turkey sandwiches and watching a movie. All in all, it was not a bad day. The Thanksgiving holiday means so many things to so many people. Family. Food. Travel. Gratefulness. Football. Traffic. Parades. Traditions. The gateway holiday for Christmas shopping and nonstop carols. 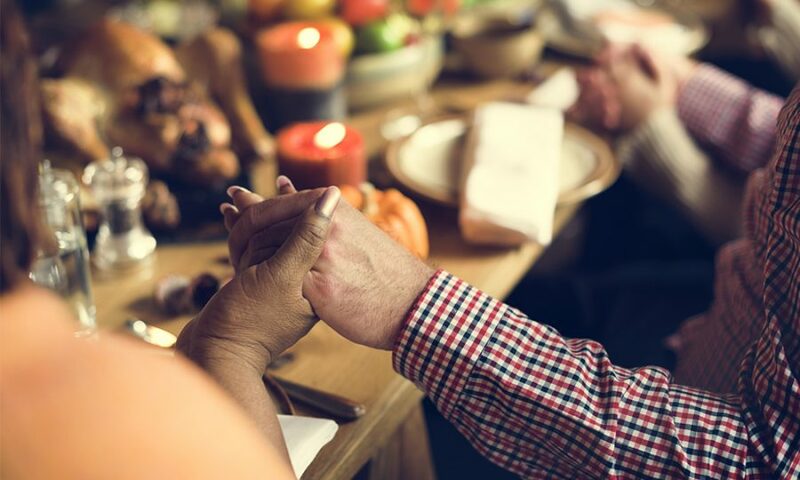 Here are seven key ingredients for a meaningful Thanksgiving. 1. Gratefulness. It is, after all, the reason for the holiday. And it’s good practice for being thankful all year round. Gratefulness increases our capacity for joy and glorifies God. “This is the day which the LORD hath made; we will rejoice and be glad in it” (Psalm 118:24). 2. Tradition. Uphold an old family tradition, or start a new one! Have something to look forward to each year that you can do as a family. “Therefore, brethren, stand fast, and hold the traditions which ye have been taught, whether by word, or our epistle” (II Thessalonians 2:15). 3. Grace. If you have a conflict with another person, take the time to work it out before Thanksgiving. Issue forgiveness as if it was the cure for cancer. Your heart will be lighter and your satisfaction deeper. “Leave there thy gift before the altar, and go thy way; first be reconciled to thy brother, and then come and offer thy gift” (Matthew 5:24). 4. Family. This is a big one. Whether or not you have good relationships with your family members, they are God’s beloved creation, formed in His image. Show them God’s love, even if they are Extra Grace Required kind of people. You never know what tomorrow holds. “See then that ye walk circumspectly, not as fools, but as wise, redeeming the time, because the days are evil” (Ephesians 5:15-16). 5. Fun. Do something you enjoy! It’s a holiday celebration worthy of your delight. And your delight is God’s delight (even if you like watching football). “I was daily his delight, rejoicing always before him” (Proverbs 8:30). 6. Photos. Record your memories. Organize a family portrait (and maybe use it for your Christmas card). 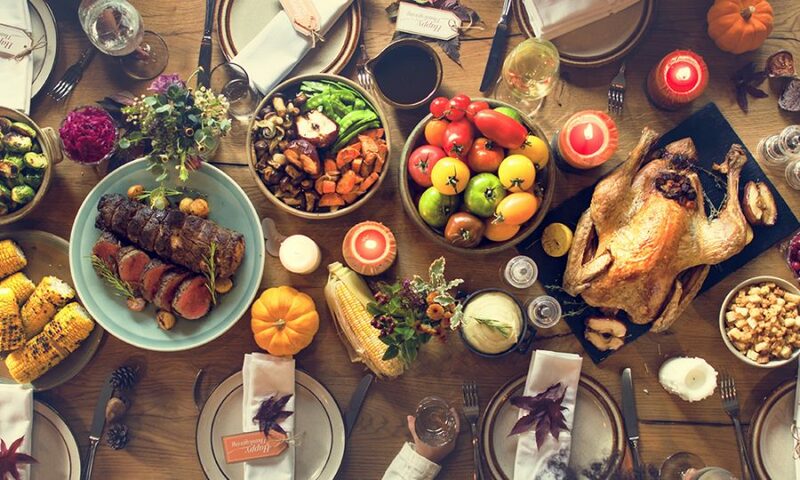 Snap a photo of everyone around the table – before the food has disappeared and the button-popping commences! Take sibling selfies. Be sure to include candids. When you look back, you can “rejoice in every good thing which the LORD thy God hath given unto thee” (Deuteronomy 26:11). 7. Prayer. Let’s not forget to include Who we’re thankful to in our Thanksgiving Day celebrations by putting Him at the center. Take the time to praise God for His many blessings! “Whoso offereth praise glorifieth me: and to him that ordereth his conversation aright will I shew the salvation of God” (Psalm 50:23).